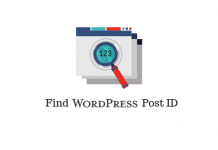 WordPress is one of the simplest choice of a content management system due to its simplicity to use. With basic technical knowledge you will be able to easily set up and use a WordPress site. 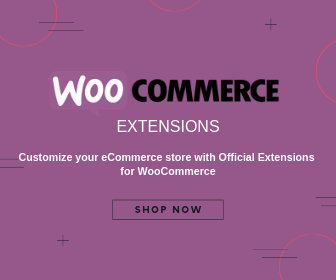 By installing WooCommerce, you can add eCommerce functionality to your site as well. 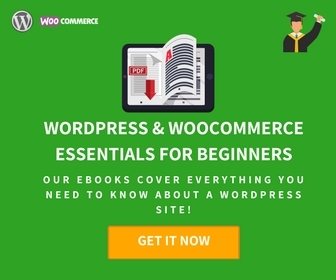 WordPress and WooCommerce are really popular due to their flexibility to make customizations. 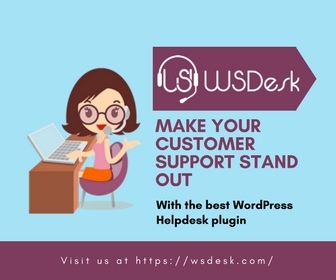 You will find a lot of plugins that will help you customize your WordPress site. In addition, you can make modifications to WordPress files by adding snippets of code too. 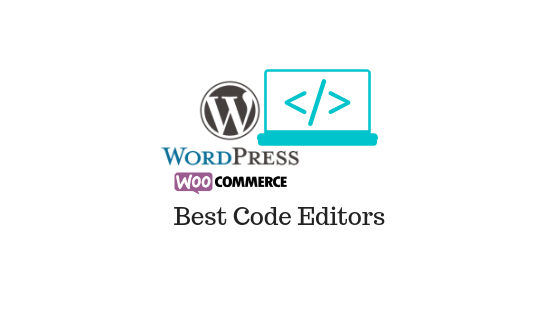 In this article, we will discuss some of the popular code editors that will help you edit WordPress & WooCommerce PHP, JS & CSS Files. How to find a suitable code editor to edit WordPress & WooCommerce PHP, JS & CSS Files? Theoretically, you can use any text editor to work on WordPress and WooCommerce files. However, when you lookout for one, you can see there are quite a large number of options available with a lot of additional features. Before getting into the list of best code editors, let’s take a look at some of the features you should be looking for. When you are talking about WordPress files, you will be working with PHP, HTML, CSS and JS. So it is important to check if the editor supports these languages. Most of the popular editors these days support these languages. When you are handling a large stretch of code, it will be really helpful if there are options to provide highlighting varied elements. This would make it much easier to read and understand code. Syntax highlighting is the feature you are looking for here, which will highlight multiple elements of the code syntax with different colors. As these color changes won’t be activated until the code is complete, it is much easier to spot mistakes in the code. Some of the other features that improve readability of the code are code folding and automatic indentation. The ability to show line numbers is another feature that can help you with debugging. Most of the modern code editors that you find in the market will have these options. However, it is better to look for this in the features list to be sure. When you are working on a complex coding project, chances are high that you need to make some changes in multiple places in the code. Manually finding the part of code to modify would mean you are in it for a long time. It can get even worse if you are dealing with multiple files. This is where a powerful search and replace option could help you a lot. A powerful search and replace option would automatically manage this for you. It will help you manage changes much faster. Another feature to improve coding speed is autocomplete option. Basically, the editor will provide a few suggestions when you start typing the code. When you are trying to find a suitable text editor, this is another feature that might be relevant to look for. A good code editor will be periodically backing up your data, so that important information won’t get lost. FTP support will help you access files directly from your web server. A lot of modern code editors have modules to help you access FTP or SFTP servers. With the help of this option, you will be able to deploy files directly from the code editor. FTP support will be an important feature in a code editor that will help you streamline your workflow. Version control is an important aspect of large coding projects. It helps you go back to an older version of your project in case you encounter some mistakes in code. There are several third party options to help you with version control. While choosing a code editor you ca check if it has in-built version control or whether it supports third party options that support it. 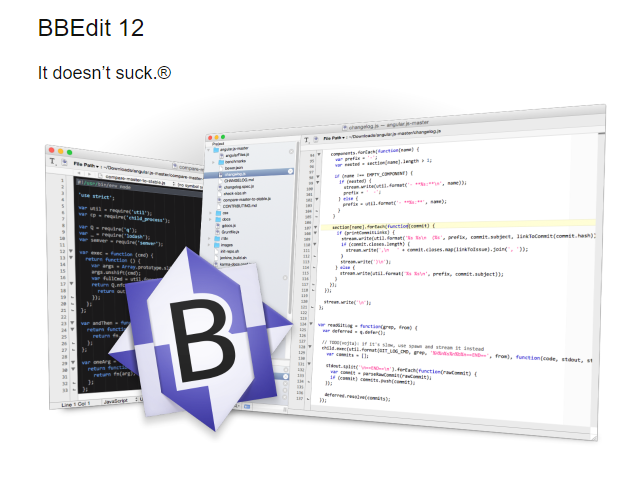 Here is a look at some of the popular code editors for Mac and Windows. extensive support to several file formats and programming languages. Sublime Text offers more sophisticated features to help you edit code. It offers syntax detecting algorithm, distraction-free writing more, etc., to help you with your codes. Here is a quick look at some of the features of the editor. Availability of shortcuts to open files, jump to symbols, lines or words. Index of class, method and function across project. Option to select multiple lines to interactively change them. Notepad++ is one of the most popular open source code editors for Windows. Written in C++, it ensures high execution speed and relatively smaller program size. One of the main advantages of this text editor is that it is equally comfortable for beginners as well as advanced users. This is another popular HTML and text editor that you can use for Mac. With quite a range of flexible features, this one is used by software developers, web authors, writers, etc. It is a freemium tool, which you can use without restrictions for a 30-day period. After the evaluation period, you will have to purchase a license to use some of the exclusive features. Allows custom actions to be written in multiple languages. 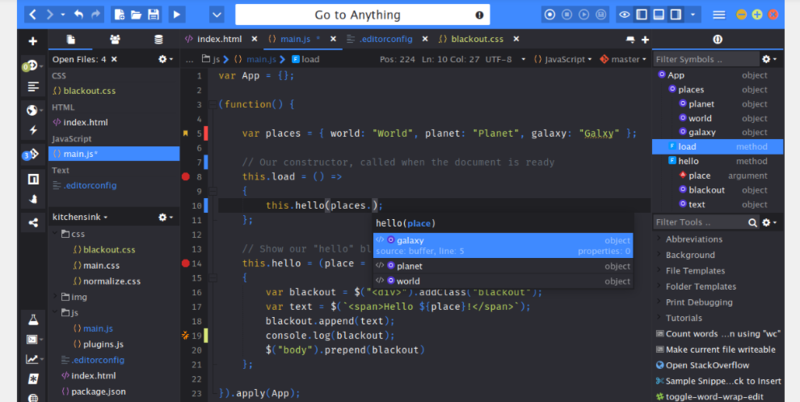 With a focus on visual tools, Brackets is a text editor that is generally preferred by web designers and front end developers. It blends visual tools to the editor to help with your design efforts. Inline editors to work on your code without popups. Live preview to help you understand the changes you make to CSS and HTML. If you are looking for a fast and simple text editor for Mac, Textastic might be the answer. Here are a few features of Textastic that might appeal to the coding community. Support for more than 80 source code and markup languages. Uses native MacOS X APIs to ensure speed. Several features like file navigation with symbol list and auto save make it easier to work with it. 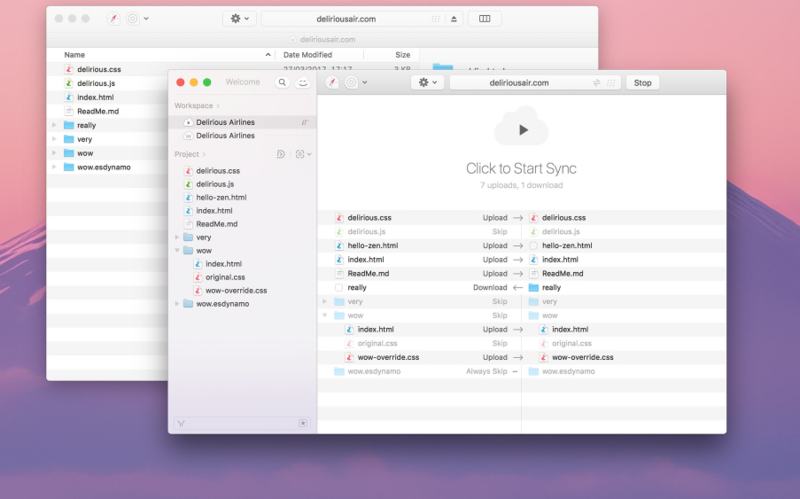 Easy to sync files across MacOS and IOS devices. Coda is a powerful text editor with built-in features to help you manage local and remote files. It has a wide range of features that might prove extremely useful for big projects. Here are some of the features of this popular text editor. Works on multiple operating systems. Package Manager out of the box. Autocomplete option to help you write code faster. Option to open a single file, entire project or multiple projects in one window. UltraEdit is quite a popular text editor in the developer community with a bunch of unique features to its credit. Customization options to personalize the editor and the entire app according to your taste. Command line support to integrate with other apps. Easy options to sort and select files. Handles files of larger size above 10 GB. With intuitive tools and a smooth workflow, this is another popular text editor among developers. It is pretty easy to get started with this one as you can easily create CSS or HTML files from scratch. The editor also helps you open existing website files from your computer or web server. CoffeeCup offers a comprehensive workflow that offers you great control to organize your website. Validation Tool to check codes. Split screen preview that allows you to view the site right below the code. Espresso is a popular web editor for Mac. It helps you code your website with relative ease, be it a new project or you are working on a site that is already live. Browser Preview and Xray for faster edits. Helps you build standard CSS as well as modular SCSS and LESS. Several features like Zen snippets, Toolbar Favorites, Re-Indent, etc., to help with your workflow. Built-in build infrastructure called Dynamo. jEdit is a free, open source editor preferred by a lot of experienced developers. Let’s quickly look at some of the standout features of this editor. Several macros and plugins available. Plugin manager to help you download and install plugins from within jEdit. Features auto indent and syntax highlighting. Supports UTF8, Unicode and other character encodings. Option to insert quick clips that are customizable. Drag and drop files and images. Komodo IDE is a great text editor that will help you handle multiple languages. It offers multiple platform support as well. Here is a quick look at some of the popular features of the editor. Syntax highlighting, autocomplete, code refactoring, etc., to help with your coding. Visual debugger to inspect your code. Support for multiple version control softwares. Easily customizable with the help of add-ons.